Static GK is one of the important section in Government Sector and Bank related Exams. 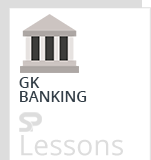 In static GK, Banking is one of the important section. The article Important Committees – Banking Sector presents the key points of Important Committees. The article Important Committees – Banking Sector can help the students and aspirants to perform well in the exams like IBPS PO, SO, Clerk, SBI, RRB, etc. Arvind Mayaram Committee: For defining clear definitions of Foreign Institutional Investment (FII) & Foreign Direct Investment (FDI). Nachiket Mor Committee: For comprehensive financial services for small businesses and low-income households. Nachiket Mor Committee: to permits NBFCs to work as Business Correspondents of banks. Bimal Jalan panel: to scrutinize applications for new bank licenses.